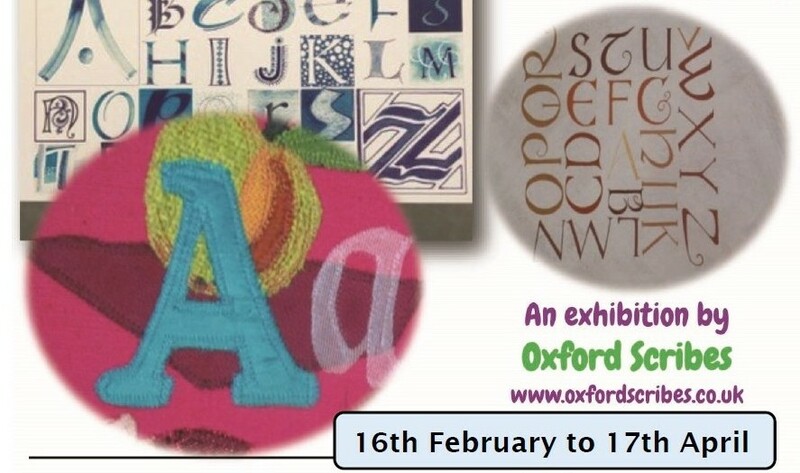 Our 2019 exhibition will focus on Alphabets from any period of history or culture, as well as the newly designed, and will include work based on texts which have inspired our members. Thame and the surrounding area have also proved to be inspirational and work exhibited will be varied; from traditional gilding to modern 3D work using gold, inks, beautiful papers, stone and glass. View gallery. In this collaborative project, members interpreted extracts from original poems written by pupils from St Edward’s School for the school’s Gittings poetry competition. True to the society’s ethos, “All About Lettering”, the calligraphic work on display was in a variety of mediums. Members used their talents in many ways, for example book-making, glass engraving, letter and paper-cutting, and many of these were represented in exhibition pieces. This exhibition was on display at the North Wall Gallery, Oxford from 16th April to 2nd May 2018. 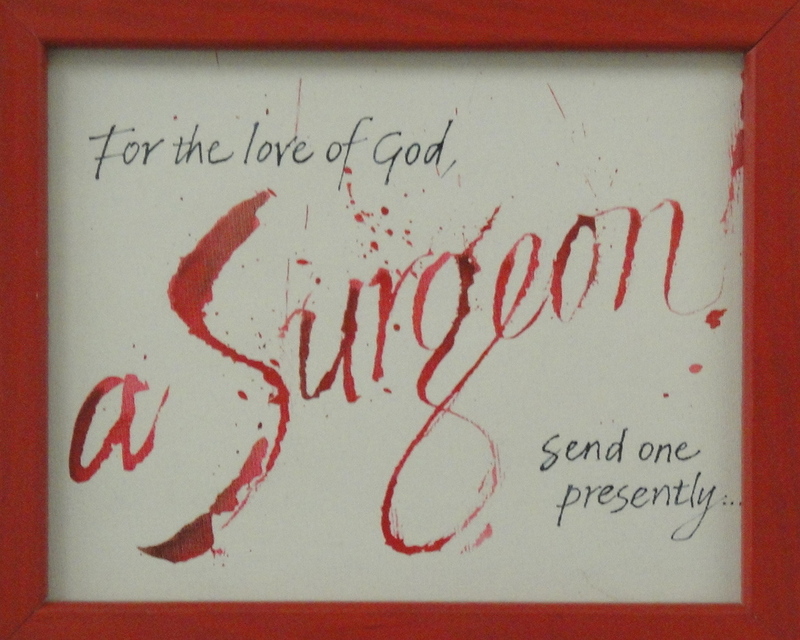 “Twelfth Night” was an exhibition of new work by members of Oxford Scribes. This formed part of Oxford’s tribute to Shakespeare on the 400th anniversary of his death. This exhibition was on display at the John Radcliffe Hospital, Oxford from 10 December 2016 – 21 January 2017. In this exhibition we showcased our passion for beautiful hand lettering with a collection of work by current members of Oxford Scribes. We demonstrated that our skills encompass so much more than handwriting. Each individual piece is an interpretation of the theme Collections (or lists) and celebrates the wide range of media and techniques employed by contemporary artists. 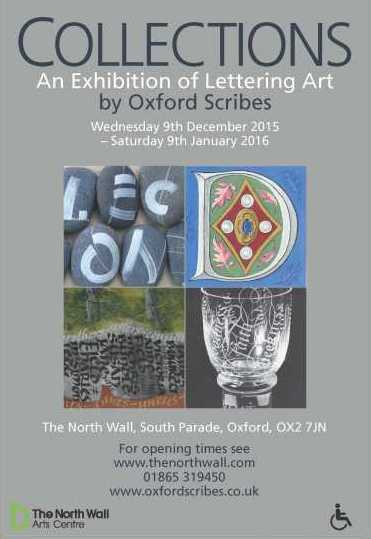 This exhibition was at the North Wall Gallery, Oxford between 9th December 2015 and 9th January 2016. A portion of the Collections artwork moved on to the Headington Library where it was viewed during library opening hours. 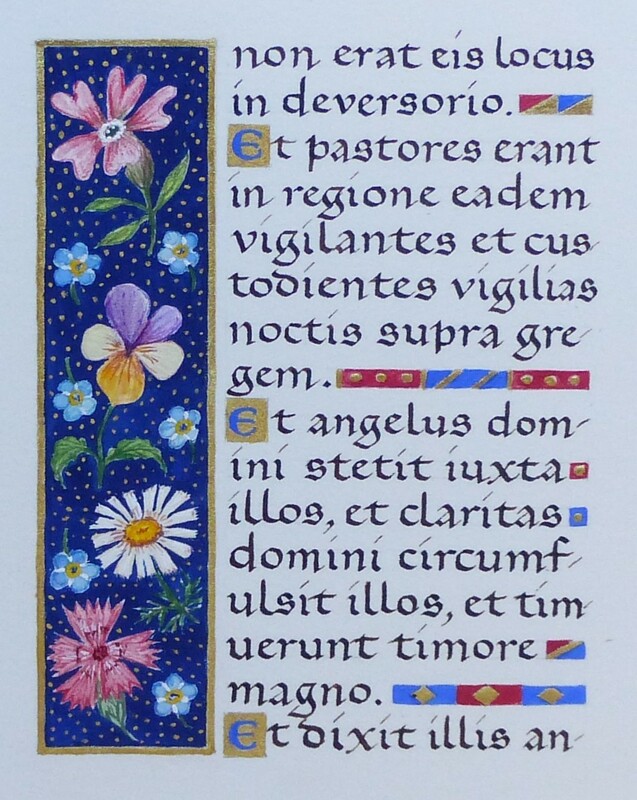 In 2014, current and past members of Oxford Scribes celebrated thirty years of making beautiful calligraphic marks. 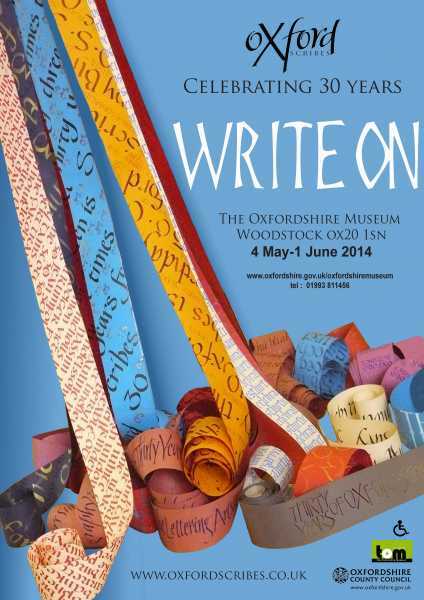 The anniversary exhibition Write-On was shown at the Oxfordshire County Museum, Woodstock in May and at The Cornerstone in Didcot in June 2014. Write-On demonstrated the great versatility of the calligraphic arts and included an exciting Maypole installation, as well as historical and new work. In addition to more conventional framed work made with a brush or pen on paper or vellum, there were books and boxes and unusual two and three dimensional pieces made on a variety of different surfaces with alternative tools.